1) While Nick was with his better half having their first born, Cole Lutke filled in nicely at Superior Outfitters and gave us the low down on winter steelheading and ice fishing around Marquette County. 2) The West Branch Sportmens Club is getting ready for their 2019 U.P. Predator Challenge. So we had Mike Prokopowicz in studio to give us the details. 1) Our Western UP correspondent, Pete Sorelle, gave us the good and bad reports for ice fishing in his neck of the woods. Listen to Part 2 of my talk chat with Pete about fishing reports in the Western U.P. 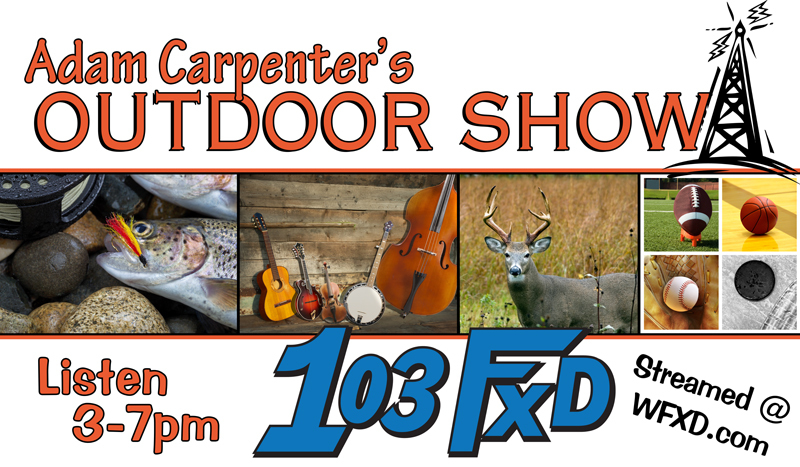 2) Sarah Shultz joined us on the show to give some final details for this years Wild Game Dinner put on by the HBAUP. Listen to Part 1 of my conversation with Sarah from from HBA of the U.P. 1) We needed to get some ice fishing info about Little Bay de Noc, so we caught up with Chris Wahl from Bayview Bait & Tackle in Gladstone. 2) The Fishing Club at Michigan Tech University is holding a unique fishing tournament on Portage Lake this weekend. We got the details on it from President, Pat Ricchi. 1) Rumor had it that fishermen got out on very sketchy ice Thursday morning on Keweenaw Bay. So we caught up with Ashley at Indian Country Sports in Lanse to find out not only about Keweenaw Bay, but also Huron Bay and inland lakes around her area. 2) There is a Fishing For Freedom ice fishing event coming up in Gwinn put on by Hunters For Life. So President Scott Evans joined us to discuss participation. 1) Chris from The Bobber Shop joined us to talk inland lake ice fishing around Mqt County and also sketchy ice fishing on Munising Bay. 2) Russ Mason (Chief of the Wildlife Division) with the DNR joined us to discuss the direction of new DNR Director, Dan Eichinger, as well as NRC meeting initiatives and more in depth discussion regarding CWD. We also discussed any potential impacts of the federal shutdown with regard to DNR collaboartive efforts here in the U.P.